DESCRIPTION A Little gem in the heart of Bowness! This 2 bedroom, 2 full bath townhouse is FULLY FINISHED on 3 levels and has so much charm and VERY LOW CONDO FEES! From the moment you enter you notice the open living room, dark laminate flooring, big bright windows and staircase. Your eat in espresso kitchen has updated stainless steel appliances and bright windows. Upstairs you will find two big bedrooms and a shared gorgeous 4 piece renovated bathroom with upgraded title, vanity, and glass doors to your shower/bath combo. Downstairs is completely developed with upgraded tile, rec room, 3 piece bath and laundry room with storage space. Your front yard area is completely fenced and with an assigned parking stall at the back of the building. 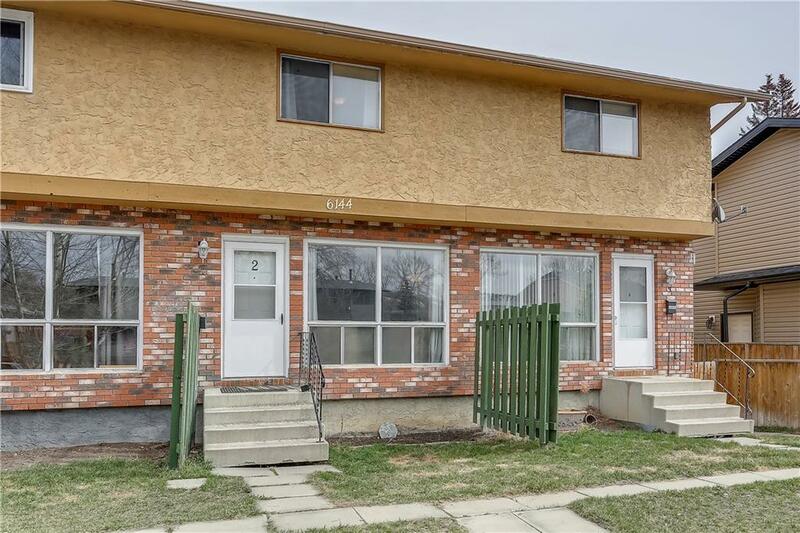 Located close to all amenities, public transportation and walking distance to many beautiful walking paths and the bow river! Don't wait. Incredible value! 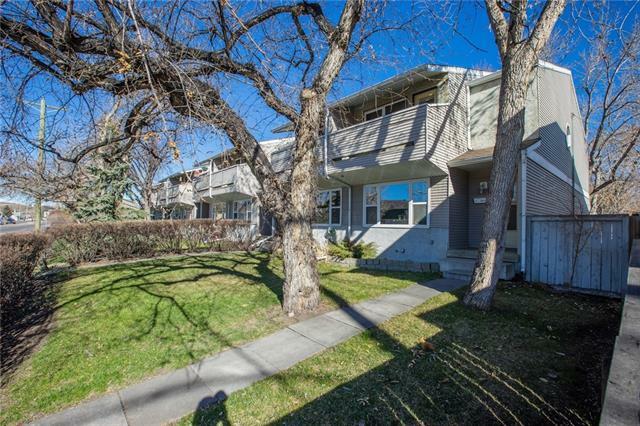 Home for sale at #2 6144 Bowness RD Nw Calgary, Alberts T3B 0E1. Description: The home at #2 6144 Bowness RD Nw Calgary, Alberta T3B 0E1 with the MLS® Number C4239288 is currently listed at $214,900.